The kitchen is the heart of the home, modern or traditional. Modern kitchens are used for far more than simply cooking and storage for food; they’re frequently the best spot in the home to entertain and are the place where the buzz of family life takes place. 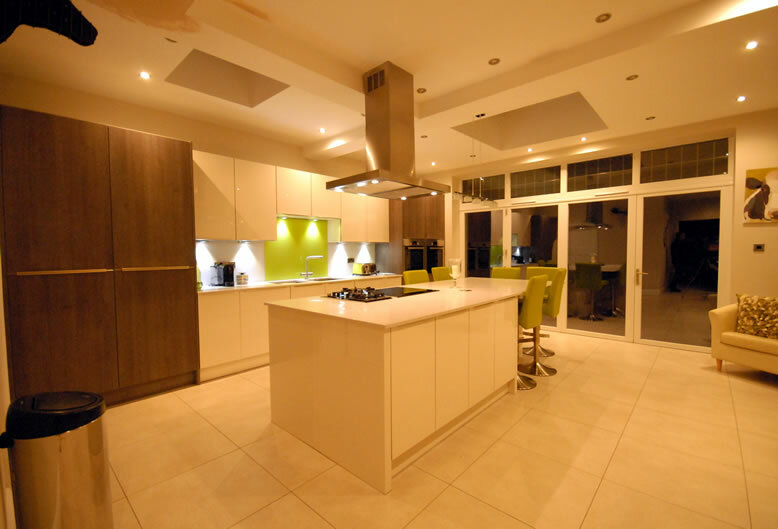 Any kitchen design should adapt to suit your household, both in terms of function and style. There is a perfect kitchen for you, whatever space you have or style you are after. Our hand-made fitted kitchens provide the perfect opportunity for streamlined space and the flexibility to adapt over time. You can combine a variety of kitchen worktops, cabinets, islands, appliances and lighting into a single space. Why should you not have the perfect kitchen? The Welford and The The Bearley are both handmade in-frame kitchens. The Welford features modern curved features and incorporates rounded Corian worktops and was featured in 25 Beautiful Homes, July 2012. 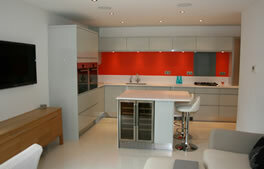 See examples of our Painted Kitchens. Classic kitchen ranges available include Shaker Cream, Chalfont Walnut, Hampton Cream and Four Ashes. Our classic kitchens offer flawless designs using different designs and materials. See examples of our Classic Kitchens. 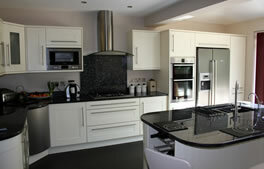 If you are looking for something modern, then look at the Whitefield or Kinchford, part our contemporary kitchen range. 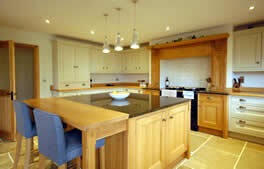 These kitchens come in a wide range of materials, and can include Silestone worktops and upstands. See examples of our Contemporary Kitchens.